TORONTO — Shares in Kinder Morgan Canada Ltd rose as much as 9.5 per cent to a four-month high early on Friday, after a favourable ruling by the country’s energy regulator on its Trans Mountain pipeline expansion boosted prospects of the contentious project. 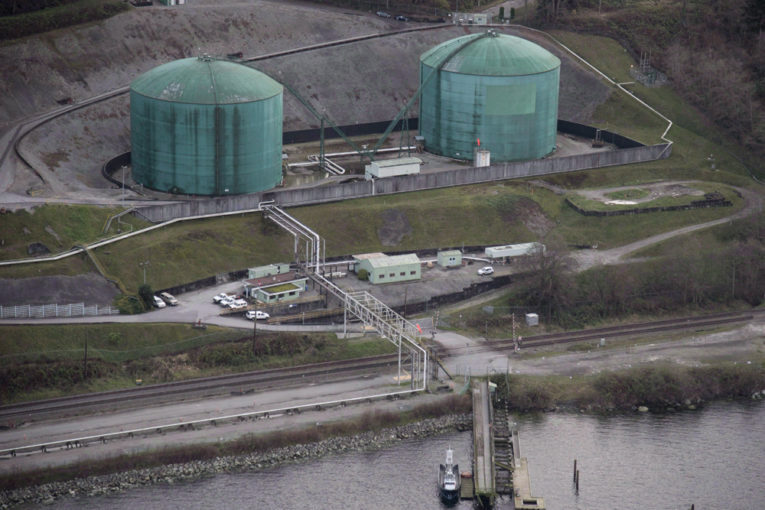 Late on Thursday, Canada’s National Energy Board said Kinder Morgan Canada could proceed with construction work on the US$5.8 billion project without complying with certain bylaws from the city of Burnaby, British Columbia, through which the pipeline passes. The swift decision is a sign the company could overcome obstacles from lower governments for the federally approved project. “This provides a measure of visibility that Kinder Morgan Canada can overcome future bylaw disputes of a similar nature as well as potentially similar disputes if they arise at the provincial level,” Robert Kwan, an analyst at Royal Bank of Canada, said in a note to clients. The fight is not over yet as the project still faces opposition from environmentalists, aboriginal groups, the province of British Columbia and some municipal governments. But the ruling does provide “a measure of visibility,” RBC analyst Robert Kwan said in a research note. The stock was last trading up 6.4 per cent at $17.69 while the benchmark Canada share index was up 0.4 per cent.